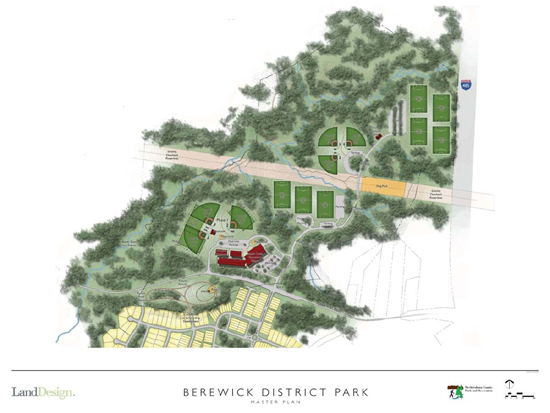 (October 3, 2015) Mecklenburg County Park and Recreation Department held the Grand Opening Ceremony for the first phase of Berewick Regional Park last week. The park is a joint use facility with the Berewick Recreation Center and Berewick Elementary School. It is located on Dixie River Road north of the Berewick community. Click HERE to view photographs of the ceremony and park. The entire regional park contains over 200 acres including the elementary school site, but funding has been available only to develop the 38-acre first phase so far. The Berewick Recreation Center is located in the school's gym and opened in 2009. The park now contains two baseball/softball fields, a third, multi-purpose field, a freestanding picnic shelter, a second picnic shelter with restrooms, a playground, and an encircling asphalt trail. The regional park eventually will contain additional athletic fields, trails, and other facilities. It will extend into a large area to the northeast of the new park and will also include a smaller area across Dixie River Road from the school. Funding for additional facilities will be provided through future bond issues. 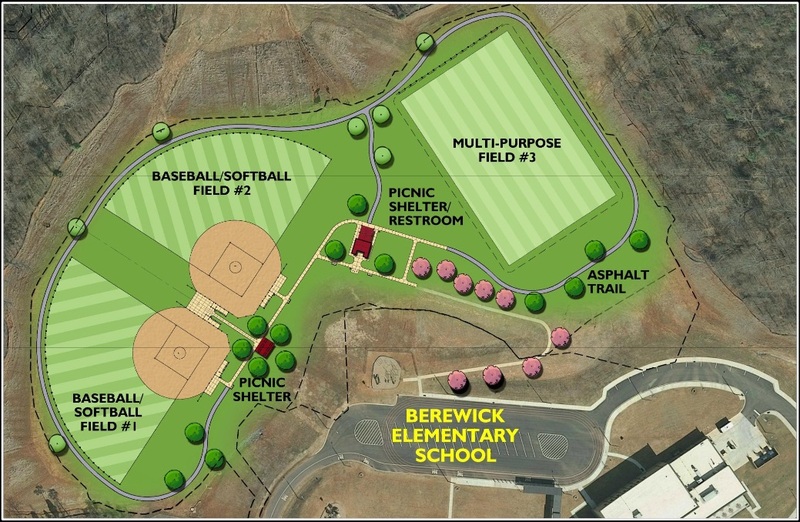 Berewick Regional Park has been eagerly awaited by Berewick residents and the entire Steele Creek community. Because Steele Creek is one of the fastest growing areas of Mecklenburg County, new parks and other facilities like this one are badly needed to serve the increasing number of area residents. Click on the image below to see a larger version of the regional park's master plan.